Naples, Fla. (April 15, 2016) – According to statistical data in the First Quarter 2016 Market Report released by the Naples Area Board of REALTORS® (NABOR®), which tracks home listings and sales within Collier County (excluding Marco Island), buyers, sellers and REALTORS® have a good reason to smile because inventory is on the rise; making the Naples area housing market more stable than any previous quarter in the last eight years. “Our seasonal buyers seemed to get off to a slow start this year, but showing activity has picked up in the last six weeks,” said Kathy Zorn, broker/owner, Florida Home Realty, concurring with fellow broker analysts reviewing the statistics that their firms also reported recent increases in property showings. According to the report, overall inventory for the first quarter of 2016 increased 33 percent to 5,651 homes from 4,253 homes in the first quarter of 2015. Leading the rise in inventory by percentage of increase during the first quarter of 2016 were condominiums in the $1 million to $2 million category, which increased 61 percent to 208 condominiums from 129 condominiums in the first quarter of 2015. Leading the rise in inventory by the number of units were condominiums in the $0 to $300,000 price category, which increased 33 percent in the first quarter 2016 to 1,181 condominiums from 887 condominiums in the first quarter of 2015. Geographically, the overall inventory in North Naples (34109, 34110, 34119) increased the highest percentage in the first quarter of 2016 by 43 percent to 1,630 homes from 1,142 homes in the first quarter of 2015. Overall pending sales (homes under contract) in the first quarter of 2016 decreased 23 percent to 2,786 homes pending from 3,628 homes pending in the first quarter of 2015. The only pending sales category that increased was the single-family $500,000 to $1 million price category, which increased 11 percent to 308 single-family homes pending in the first quarter of 2016 from 277 single-family homes pending in the first quarter of 2015. “A five percent decrease in overall closed sales [12-months ending] isn’t bad considering 2015 was a phenomenal year,” said Rick Fioretti, NABOR® President and Broker Associate with Berkshire Hathaway Home Services Florida Realty. There were 9,352 overall closed sales in the 12-months ending first quarter 2016 compared to 9,873 overall closed sales in the 12-months ending first quarter 2015. Added Fioretti, “That, coupled with prices remaining steady in all sectors above $300,000, indicates market stabilization.”The report also showed traditional sales are at the highest level on record at 95 percent since NABOR® began tracking activity in July 2009 when traditional sales were reported at 51 percent of all sales. Only 5 percent of closed sales in March 2016 were non-traditional, short sales or foreclosed properties. •Overall pending sales decreased 23 percent to 2,786 in 1Q 2016 from 3,628 in 1Q 2015. •Pending sales for single-family homes in the $500,000 to $1 million price category increased 11 percent to 308 single-family homes in 1Q 2016 from 277 single-family homes in 1Q 2015. •Overall closed sales decreased 5 percent to 9,352 homes in the 12-months ending 1Q 2016 from 9,873 homes in the 12-months ending 1Q 2015. •Overall median closed price increased 12 percent to $311,000 in the 12-months ending 1Q 2016 from $278,000 in the 12-months ending 1Q 2015. •Overall inventory increased 33 percent to 5,651 homes in 1Q 2016 from 4,253 homes in 1Q 2015. •Inventory for condominiums in the $300,000 and below price category increased 33 percent to 1,181 condominiums in 1Q 2016 from 887 condominiums in the 1Q 2015. •Average days on market decreased 9 percent to 77 days in 1Q 2016 from 85 days in 1Q 2015. •Overall pending sales decreased 25 percent to 1,136 homes in March 2016 from 1,520 homes in March 2015. •Overall closed sales decreased 25 percent to 794 homes in March 2016 from 1,063 homes in March 2015. •Closed sales in the $500,000 – $1 million single-family home price category increased 34 percent to 90 single-family homes in March 2016 from 67 single-family homes in March 2015. •Overall median closed price increased 8 percent to $323,000 in March 2016 from $300,000 in March 2015. •Overall median closed price increased 101 percent in the Immokalee/Ave Maria area to $239,000 in March 2016 from $119,000 in March 2015. •Median closed price for condominiums in the $2 million and above price category increased 18 percent to $2,837,000 in March 2016 from $2,405,000 in March 2015. •Average days on market decreased 4 percent to 76 days in March 2015 from 79 days in March 2015. •Overall inventory increased 33 percent to 5,651 homes in March 2016 from 4,253 homes in March 2015. •Inventory for condominiums in the $1 million to $2 million price category increased 61 percent to 208 condominiums in March 2016 from 129 condominiums in March 2015. While commercial activity is not reflected in the statistics, Bill Poteet, owner and broker at Poteet Properties, indicated that cash sales are up in the commercial real estate market despite a lack of inventory. 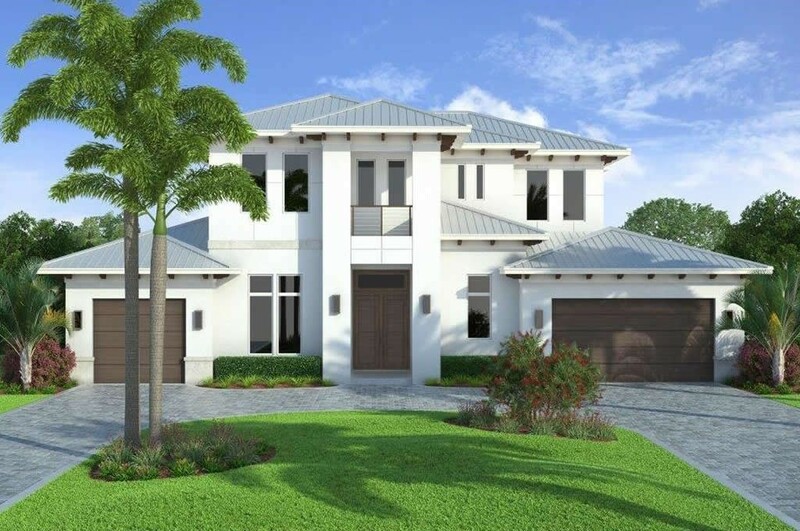 He believes that demand will continue to grow for commercial real estate properties in the Naples area, and the growth trend will continue as long as our economy is good. The Naples Area Board of REALTORS® (NABOR®) is an established organization (Chartered in 1949) whose members have a positive and progressive impact on the Naples Community. NABOR® is a local board of REALTORS® and real estate professionals with a legacy of nearly 60 years serving 5,000 plus members. NABOR® is a member of the Florida Realtors and the National Association of REALTORS®, which is the largest association in the United States with more than 1.3 million members and over 1,400 local board of REALTORS® nationwide. NABOR® is structured to provide programs and services to its membership through various committees and the NABOR® Board of Directors, all of whose members are non-paid volunteers.